1. clubhouse money box R75 from in good company. 2. yellow rain jacket R450 form k-way. R49 from typo. 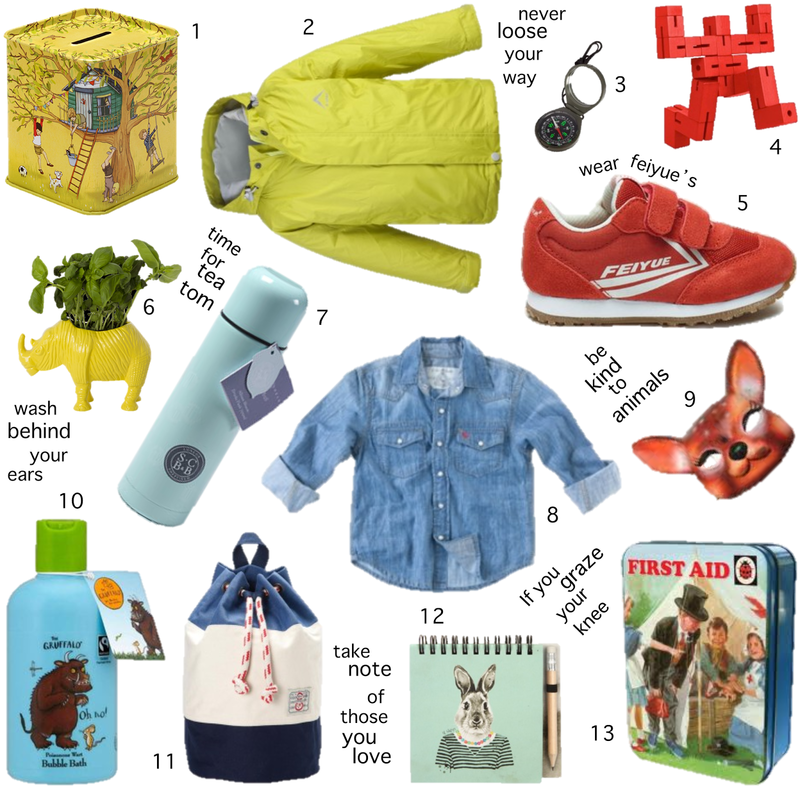 13. first aid kit R135 from ladybird.